When buying a brand new car, drivers often wonder about some of the long term expenses. Based on extensive data that has been compiled by auto makers, customers can get accurate estimates of the cost of ownership of select makes and models. Fuel is perhaps one of the major factors that influences long term costs in driving a car. Premium sedans and crossover SUVs are designed to run on the highest quality unleaded gasoline. By contrast, compact cars and midsize sedans can be filled with regular unleaded gas with octane 87 rating. The price per gallon difference between octane 93 and octane 87 fuel can be dozens of cents. Over the course of a year, such differences might translate to discrepancies in hundreds of dollars that are coming out of drivers’ wallets. Cost of ownership is primarily based on the fuel economy ratings that are precisely generated by the EPA. Compact cars boast ratings of up to 40 mpg on the highway while premium sedans and crossover SUVs barely get over 30 miles per gallon on the same types of roads. Cars that are equipped with hybrid or flex fuel technology can save drivers a lot of money per year. Car model comparison guides such as Highlander cost of ownership and other long term expense projections are examples of resources for vehicle owners. Mobile applications and online tools are available to compare new car models side by side. 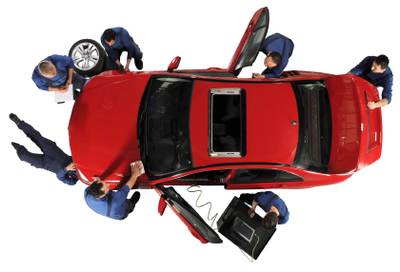 Car owners should also understand how certain mechanical features can affect long term expenses on repairs and service. For example, the highest ventilated disc quality brakes might last twice as long compared to traditional drum brakes. Similarly, heavy-duty, all-season tires have much longer life spans than regular tires designed for primarily a single type of climate. Major drivetrain and powertrain features could also play significant roles in cost of ownership. Automatic transmission systems tend to place wear and tear on a vehicle compared to a manual transmission. Only experienced drivers should opt for manual gear shifting that places tremendous strain on the axles and wheels.